If you are looking for good reliable color for your fall garden, this is it. 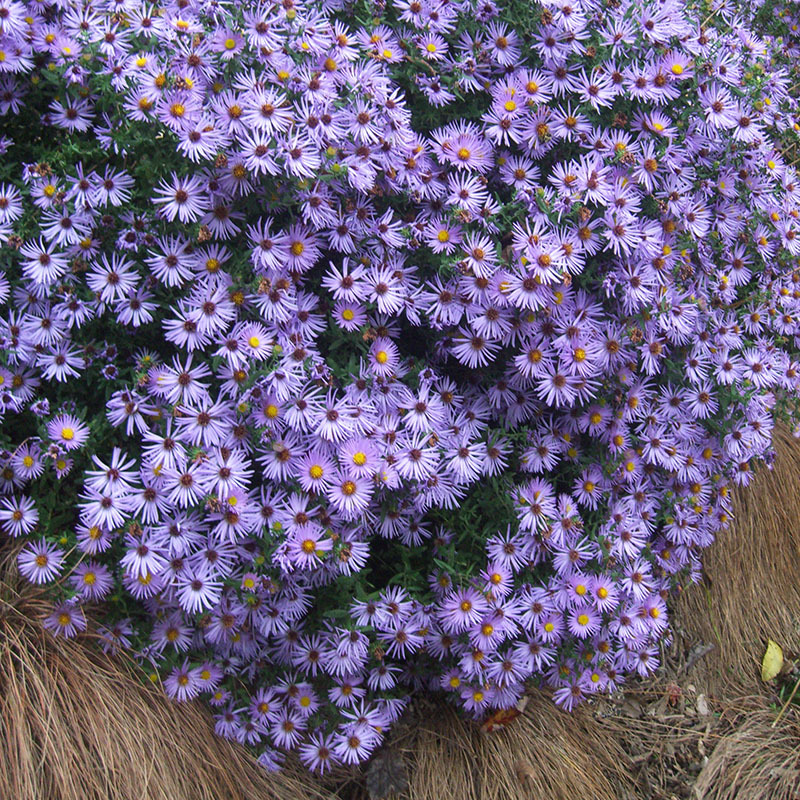 Soft lavender daisy-like flowers absolutely smother this plant in October. 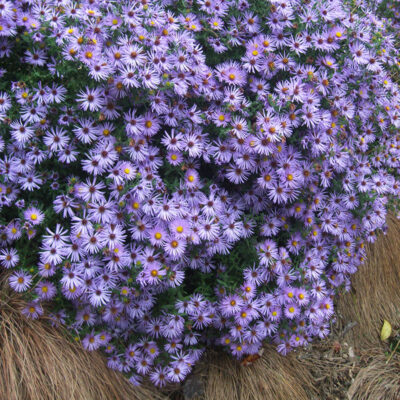 This native aster will outperform and outlast those tired mums you’ve been hoping will look good by the time fall arrives. Plants are a medium green all summer, remaining tidy and very drought tolerant. For bushier plants, trim once in June. Full-part sun. Height and spread 2-3′. Zones 3-8.